Before I write about our Ilocos trip last weekend (I posted some photos on Instagram and Facebook), let me share this with you first as I saw this sitting in my drafts folder. Of all the four stored there, this resonated with me the most. Maybe if I will share this story with you all, I can finally move on from the sad experience. Just like how I told that terrifying mommy moment the past month, I will try my best not to make this sound like a rant. I told the cake supplier about my plan of getting her service for my daughter's 7th birthday on September. I have helped several mompreneurs in launching their home-based businesses through this blog so I thought of doing the same thing with her. I offered her a blog post and a banner ad on my sidebar in exchange of 50% off on a 2-layer cake (the first layer is made of styro covered with fondant) and 60 pieces of cupcakes. I thought it was a good deal. The main reason why I got her even if there are better cake suppliers out there was that she is the mom of my girl's bestfriend. It was a month before my daughter's party when she messaged and asked me for the down payment. She said that she'll already make the topper so it'll firm up. I'm not a fondant cake baker but is it really that long to firm up? Like, a month? When I finally got to pay half of the total amount, she told me that she can't make the topper anymore and asked me if I have a toy for replacement. At this point, I was trying my best to understand her. She said she has two big orders the same week and that, in verbatim, "THIS IS BUSINESS." I wondered why she has to say that when I was not really late in paying her since she didn't give me a definite deadline. Fine. I let it pass. I allowed her to replace it with a toy. She agreed and said, "sure". I reminded her that we will be in the location at 3pm and I told her to come early so we can set up the table. She even asked me if I have a cake stand and a cupcake tower. I told her I'd bring my own stuff then asked her to send me a photo of the cake and cupcakes via Facebook Messenger. She laughed and said, "wala pa... bukas na...excited much naman. Hahaha!" Muthers and friends, this was the time that I felt the need to crack the bones in my neck. I only sent her a thumb icon. 30 minutes before the party, (insert your own adjectives and name-calling whatevers here) messaged me that they'll be running late. I didn't have time to reply so yeah, I seen-zoned her. She arrived at Mc Donald's Sports Center in Marikina like almost an hour late. She and her husband were taking out the boxes from the car compartment and I was shaking when I saw that the boxes were obviously not enough for a 2-layer cake and 60 pieces of cupcakes. I wanted to pass out. But of course, I can't. I have to be at my most sane self for my little fairy princess. The supplier said that the cake accidentally fell. I'm not sure what my feelings were called that moment - I just can't fathom that excuse! Also, she only gave me 30 pieces of cupcakes in odd shapes and plain taste. What I thought that time? She spent the money I gave her for her daughter's party. Sigh. I solved the problem as quick as I can. I asked someone to buy the Ube Macapuno cake from Red Ribbon so it'd match the theme of the party. After I placed the cake on the stand, I wiped a tear. 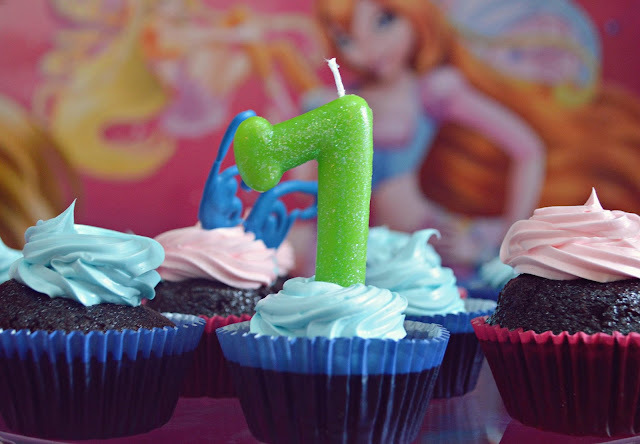 My daughter was one year old when I dreamed of a semi-extravagant 7th birthday party for her. Then my husband and I thought that maybe a trip to Hongkong Disneyland was better. When she was 6, though, we asked her what she wanted for her 7th birthday and she said she wanted a party. I was a stay-at-home mom then with a small home-based business, depending solely on my husband's salary that we can only afford a McDonald's party for our only child. Sorry, does it sound like I'm belittling our own party? Not really. It's just that I could have given more, we could have given her the best party she ever dreamed of only if I have a stable job or only if my business was earning well. And what's worse was the cake that could have been the other star of the party was replaced by a store-bought, smashed-looking cake. That evening, the cake supplier messaged me if she can deliver the infamous cake that she repaired. I said it's no use and I just want her to give back the money that I paid her. She did a few days after. She also posted this on her Facebook page. 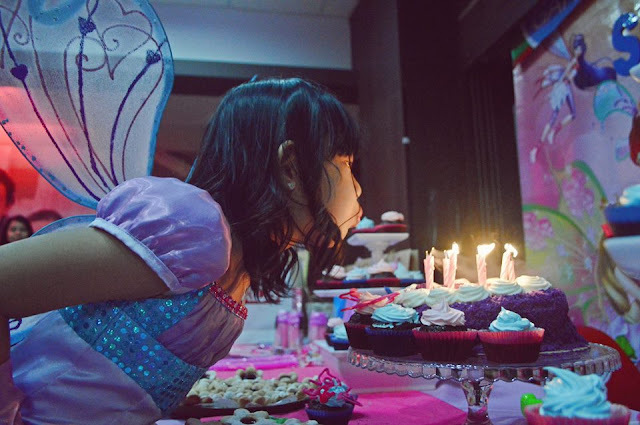 What I was just grateful for was that my fairy princess loved her party despite the sad cake story. She asked where her cake was, though. When I explained what happened, she said it's okay and at least she had cupcakes. I like how forgiving my child can be. To make it up to her and for my peace of mind, I promised to give her the most amazeballs cake for her 8th birthday this year. If I can't bake it, I will buy it - no matter what. These were my pegs: CAKE and CUPCAKES. I read it!!!! Oh my. Thumbs up to you for keeping your composure despite the added hassle. Wala eh, I need to! Kawawa naman lalo bagets kung nabaliw na lang ako dun. I don't know what to say... :( Though from the link you posted, the cake would have been pretty. Too bad it didn't make an appearance. Ohmy if that happened to me I would've cried. Hehe but true, I would've cried of disappointment! Because as a mom myself I know we just want the best for our little one. Nakakaasar lang na some things doesn't go how we planned it. Buti na lang you kept your cool. ;) And your little girl was happy! Very sad cake story, I can't imagine kung ano gagawin ko if that happened to me. That's why I always buy cake na para mas madali then i-DIY na lang cake depende sa theme. Definitely a sad feeling for a mom, but the best thing is that your daughter was so appreciative of your effort. :) Let me know if you need someone to make a cake, I can surely suggest someone for you. I have to say kudos to the baker though for posting her mishap on her own page, it takes guts to do so. Wow... I think my heart broke a little for your little girl. But I think she handled it so gracefully, and so did her mum :) Cheers to a beautiful cake for her 8th birthday! Denise, I checked her page. I was soo tempted to comment on her post. Honestly, I don't want to believe it's your daughter's cake. Akala ko ba toy 'yung topper? Feeling ko hindi n'ya talaga ginawa on time! Hay naku! Your baby girl must know the effort you made. That's what I appreciate in having girls for kids, they understand our mommy efforts most of the time. I admire you for keeping your composure and your daughter for understanding. I read the post from the page, I don't know what to say either. If it happened to me, I might freak out and get really furious. Belated happy birthday to the lovely girl who's matured enough to understand why her cakes didn't make it. Oh my. nakakastress ito. I don't get why people enter into business and do this. Bakit ganun? I feel they do not consider other people's events and memories. Nakakainis. But still I admire you for being calm. That's so sad. I can feel your emotion from this post. I remembered when my son celebrated his first birthday, his cakes turn out to be a disaster too, and most of the treats in his dessert buffet taste awful but the party must go on. It's a lesson learned for all mommies out there. I feel you, sis! I hope that on your daughter's 8th birthday, you'll find a more professional person to transact business with. Oh my! Super heartbreaking ito.m Grabe D...you are such a good person....kaya ka binebless ng sobra sobra..
Hello,2 years late to answer but yes, cake toppers can be made a month or months ahead. Late ko man to nabasa, nabwisit pa din ako sa nangyari nkakaasar yun mga gnyan suppliers mga paasa at panira ng mga once in a lifetime event ng bata. Kung di kasi kaya wag na sana nagcocommit kawawa nmn yung bata.. Kung ako yan, bka kung ano na nasabi ko.. 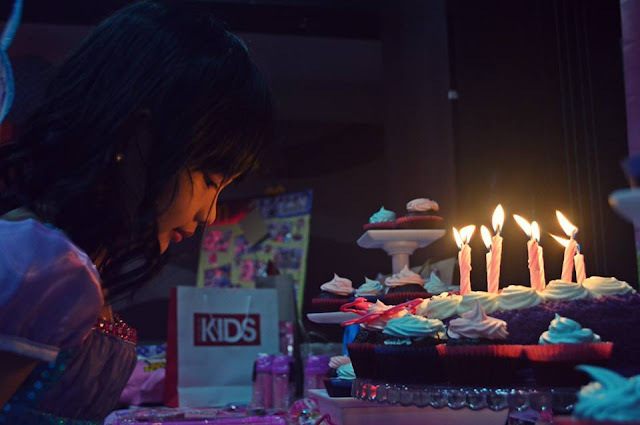 I just admire your composure during that time and im hoping mas okay na yung cake ni sophia sa mga susunod na events..